Favours | Cocoa & Co.
We offer a wide range of bespoke wedding and corporate favours. We have something for every occasion! With our very own in-house design team we are able to offer personalized favours for every need! For every theme we are sure to be able to suggest something! Don’t be afraid to ask for something specific even if it isn’t in the shop, we will try our best to source it for your special occasion. We also have individual chocolate boxes to hold 1-2 chocolates, these can be made up with ribbon and decoration of your choice. For weddings, we try our very best to match your ribbon colour to your colour theme. 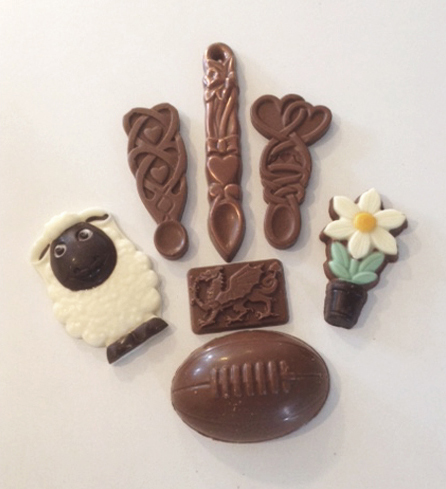 Some of our most popular favours include the Welsh chocolate lovespoon, Chocolate rugby ball, and Personalised chocolate slims.